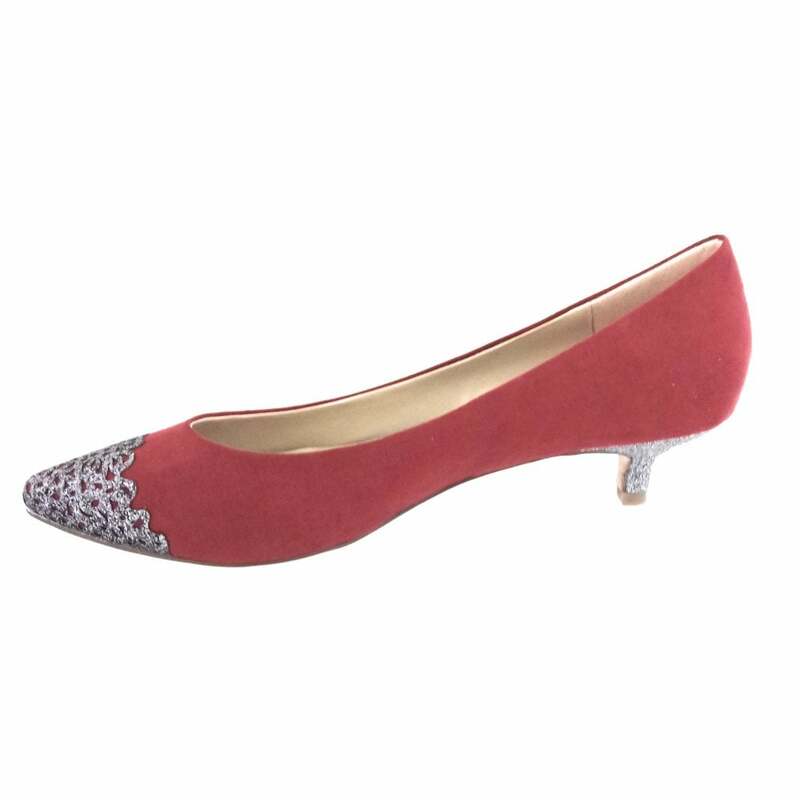 Dress to impress in the Lotus Barnaby court shoe. 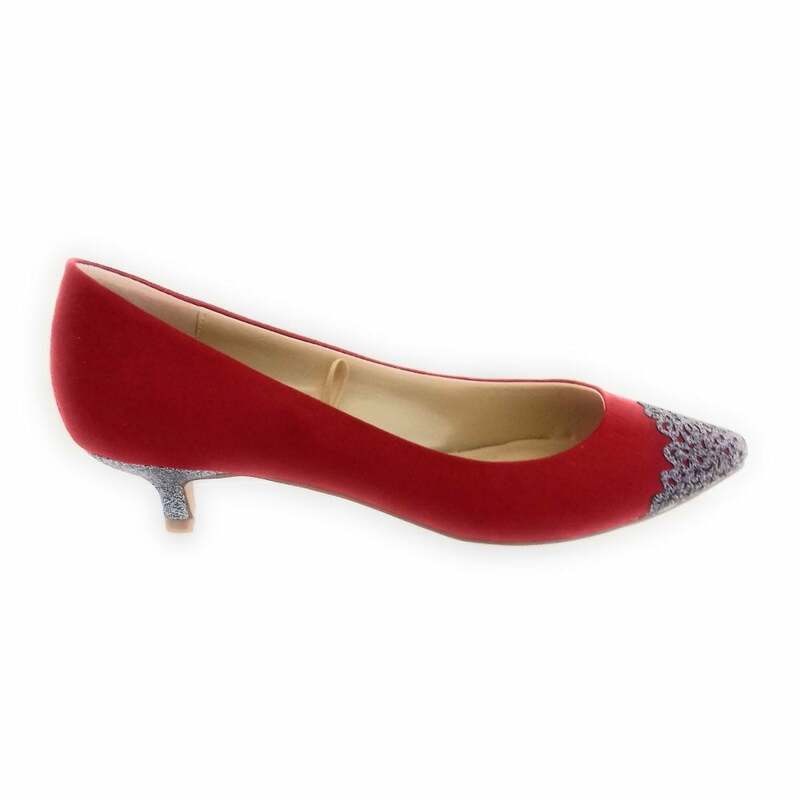 These stunning red shoes feature a cut out floral pewter glitz design on the toe. 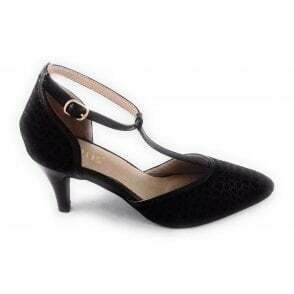 This occasion shoe also boasts a 3cm glitter kitten heel. Co-ordinate with the Lotus Fidda clutch bag to finish your look.